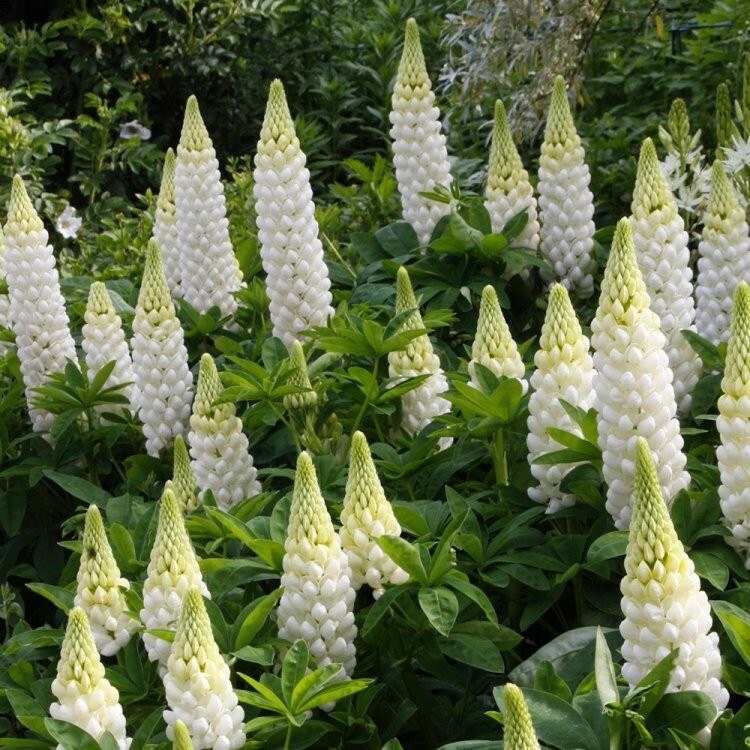 These superb lupins are all bred in the westcountry by the UK's leading expert on lupins. Produced using the latest technology, they are supplied as disease-free plants, and all boast large, intensely-coloured, lightly fragrant flower spikes, set off against soft-green to greyish-green foliage. Their strong, bushy, upright habit means that staking is not necessary. Polar Princess carries large creamy white spires of buds that open to pure white. Supplied in approx 3 litre containers.